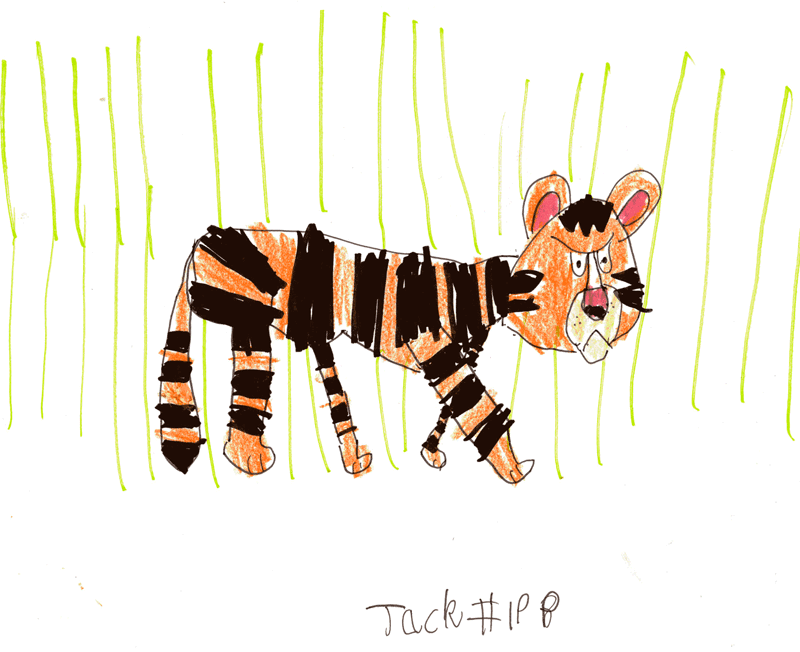 Jack, that is an ACE tiger, one of the best I’ve ever seen — the face is just right. I think you might make your £20 000 during the night — the money just seems to be rolling in. Well done, you! Respect to your mum and dad too! Carry on being cool, young man! oooh…he looks pretty ferocious, Jack. I’m beginning to wonder how many 'favourite Jack drawings' I’m allowed! Brilliant — I’ve swapped my Apple Mac wallpaper (a photo of a snow leopard for this! Thank you very much for my tiger Jack! I think he’s brilliant!